As the PMD hatch peters off, my buddy informs me that he’s having success with his Top Secret Midge rig. I fumble through three fly boxes and finally locate a lonely size 22 in that pattern. A little annoyed, I scour the boxes a second time. I know I have more Top Secrets somewhere. That’s when I realize that I left my smallest box in the car. And of course, not only does it contain a quarter of my nymphs and the current breadwinner, but it also has several attractor patterns perfect for today’s float. I wish I could say that was the last time this chain of events happened while on the water. Sadly, I cannot. But since that day, I’ve definitely given my fly boxes a comprehensive overhaul and some well deserved organization. As many anglers would agree, we often carry enough flies to supply a small fly fishing outfitter for an entire season. But, we still somehow lack the ones we need most during any given hatch. Every angler loads and totes their fly boxes in very personalized ways. In some aspects, the tackle we carry is an accurate reflection of our individuality. But there are various tried-and-true methods for fly box organization that will make your fishing excursions a little more streamlined. Below, I have outlined several different systems for arranging your flies. And with each approach, there is room for overlap and cross-referencing. 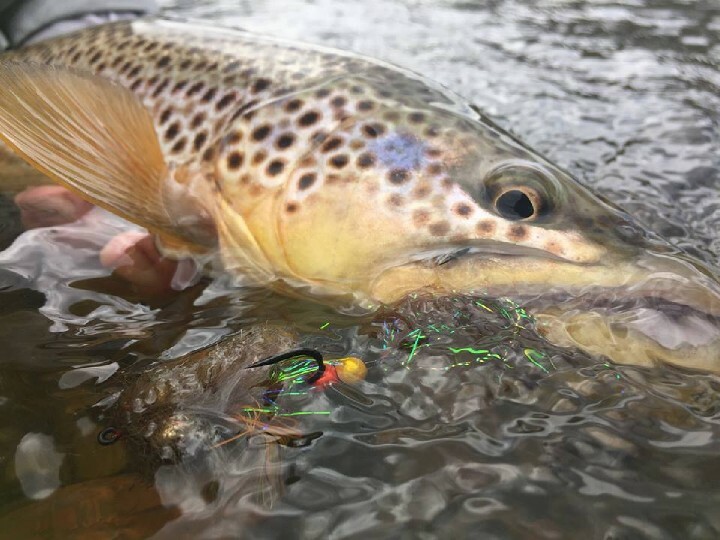 ***Disclosure*** In order to simplify this informational guide, I will be writing exclusively about trout and the relevant flies and waterways associated with them. But, the insights and tips provided can be applied to other fly fishing pursuits as well. Regardless of the size of your fly box, a simple structure for organization follows the same path as reading. Basically, start at the top left and finish in the bottom right. To begin, place your smallest flies towards the top of the box. Be sure to arrange all similar patterns together and keep variations within groups in-line. For example, let’s say you have five #16 red Copper John’s and three #20 green Copper John’s. Secure your three green John’s first and then the reds. You can then proceed to fill the remainder of that row with corresponding patterns. In the final row of your box, you might include larger nymph patterns in sizes 6-10. Or, if this box is a mixture of fly types, you will want to place your largest streamers, attractors and hoppers in the bottom right corner. Many anglers have their favorite patterns and often rig up habitually with their go-to flies. If you fall into this category, you may want to organize one of your boxes with that inclination in mind. Allocate at least one full side of a fly box to your benchmark patterns. But again, group similar sizes and styles together. That way all of your favorites are in one place but are still categorized effectively. No matter which organizational strategy you go with, always label your boxes. I’ve heard horror stories from anglers who’ve lost their favorite fly box, never to see it again. But, I’ve also heard stories of extraordinary redemption. Those were told by the anglers who labeled their fly box with name, phone number and email address. That additional 5 minutes of work can garner impressive returns. River karma is alive and well in our fishing community. But a little extra effort on your part will always expedite the process. Within most fly boxes, anglers typically do some arranging based on fly type. Even if you don’t have an entire box dedicated to dries, you will more than likely have an area where dries are grouped together. And the same is true for nymphs, attractors and streamers. Personally, I prefer this type of fly box organization. It allows me to know exactly where each fly is located. And I can be prepared for any type of fishing situation. But, I do end up carrying a lot of fly boxes with me most of the time. As for simplicity, this method takes the cake. Essentially, you’ll have a box (or two) dedicated to each fly type. And within each box, the options for micro-organizing are endless. For example, your small nymph box can be divided into bead head flies, midges, emergers, wet flies and so on. And throughout the assembling process, you can keep the general grouping system in place. Arrange your smallest non-bead head nymphs in similar colors and styles in the top left corner of the box. Then fill the subsequent rows accordingly, ending with the largest nymphs in the bottom right corner. Another option during micro-organization is to base your groupings by insect species. 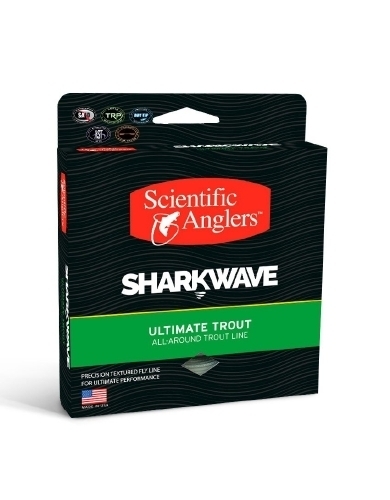 This approach will appeal to the more advanced anglers. But it never hurts to start early and give it a try right off the bat. In your dry fly boxes, you can separate and group mayflies, caddisflies, midges and stoneflies each in their own area. And of course, you can even take it a step further. Subdivide your mayfly section into spinner and dun patterns. With your meticulous arranging, you can breathe in OCD habits and exhale the OCA (Obsessive Compulsive Advantage) benefits. No doubt, your fishing buddies will be impressed. Where you plan to fish can play a huge role in how you load and arrange your fly boxes. Tailwaters, for example, typically require a completely different array of flies and tackle when compared to fishing backcountry lakes. If you’re heading out to fish a small stream, your large river patterns would be overkill and unnecessary. For these reasons, organizing your fly boxes based on fishery type can be quite effective. 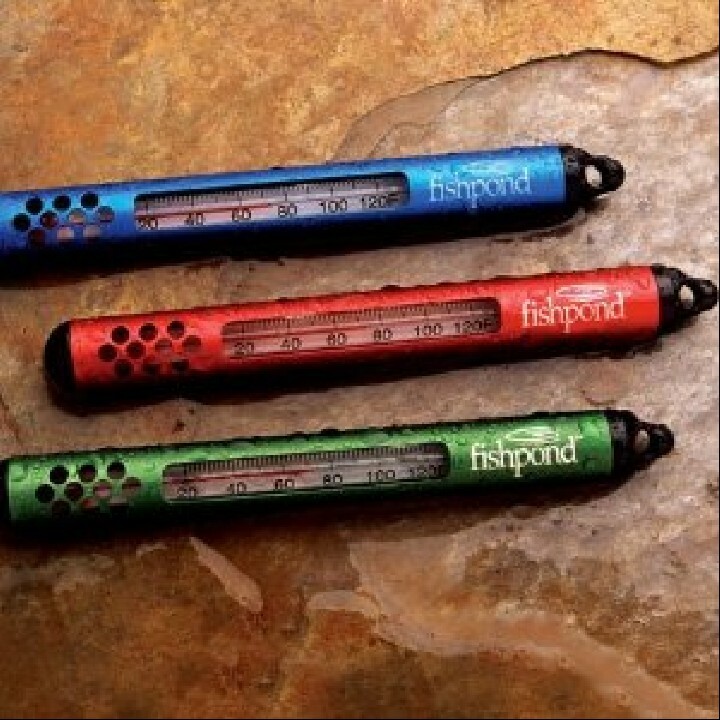 And this method is especially appealing to anglers that primarily fish one type of water over another. So, one option is to have a box dedicated to, let’s say, Colorado tailwaters. In that box, you can arrange your shrimp patterns and obnoxiously miniscule emergers and midges. At the same time, you would generally omit the flashy, larger flies. But here’s where overlap comes into play. Tailwater fisheries also produce similar hatches found on nearby rivers and streams. Consequently, you can still throw your BWO, caddis and PMD patterns in this box and cover both fisheries. The same logic can be applied to a box devoted to small streams and backcountry waters. There are a lot of patterns and fly types that work well on both. 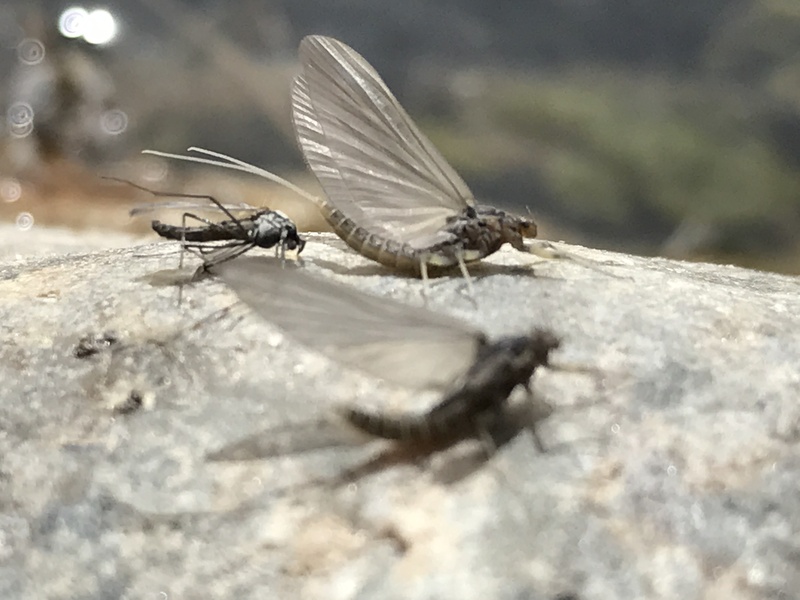 If you read Backpacking and Fly Fishing Part 2, you already know that remote fisheries often require a minimal selection of flies. The same is usually true for many smaller streams. By assigning a box to these two fisheries, you will be prepared to fish both in a single day. And you can, at the same time, leave all of your other fly boxes at home. What I’ve found through research and practice is this. Organizing your fly boxes will ultimately make your days on the water more manageable. Essentially, you will spend less time looking for a particular pattern and more time casting in your favorite spot. But just because you have your fly boxes dialed-in, doesn’t mean they will stay like that. And on that note, I think keeping at least one box either partially or fully empty is a great idea. You can load it for an upcoming, specialized fishing trip. Or you can fill in the space with new patterns. The more you delve into the vast world of fly fishing, you will inevitably collect more flies. But how you organize them is up to you.